Featuring the hard-edge appearance of the F-Series ESPs, the F-10 Electric Guitar is solid metal goodness from the headstock to the lower strap button. 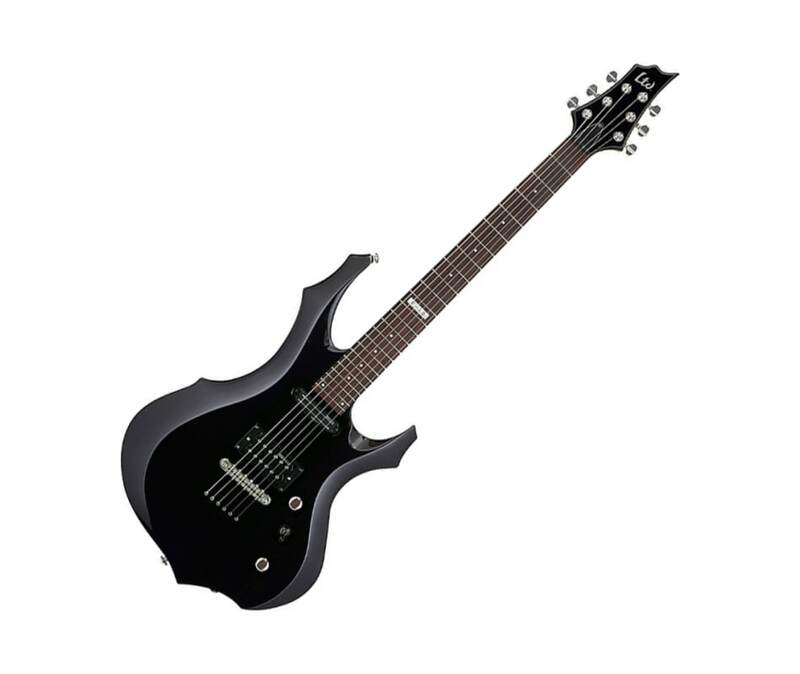 Extremely affordable, the F-10 is for the hard-rockin' beginner who needs a solid metal guitar for honing their abilities. Featuring the deep F-Series cutaway agathis body, Thin-U maple neck, bolt-on neck design and 22 extra jumbo frets on a rosewood fingerboard. The ESP LH-100 humbucker and LS-100 Rail single coil sized 'bucker, provide incredible tonal options for a versatile playing experience.